Before I was a consultant, I was a fundraiser. Before that, I was in sales. And before that, I was a freelance writer, which has a lot in common with being a consultant in that you spend two hours selling what you do for every hour you actually get to do it. So I get that much of sales is a numbers game. If I ask 100 people to agree to something, odds are one of those people will say yes. If I ask them for something reasonable. If I ask 100 people to donate one million dollars each, unless I am asking billionaires, odds are not only will no one bite, most of them won’t take my request seriously. Numbers yes. But the right numbers. 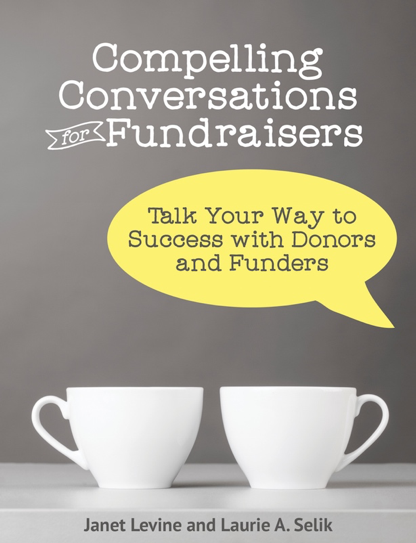 If I go around indiscriminately asking people to hire me to help their nonprofit organization increase its fundraising capacity, and none of them are involved with nonprofits, I am just wasting my time. Sure, I can say I’ve “marketed” and reached out to a hundred people, but really, I might as well have been sitting in a darkened movie theatre, watching a film. In fact, that might have been more useful. It certainly would have been more fun. Granted, before you find those right people you may have to kiss a lot of frogs. Which is why acquisition mailings, advertising, and much of social media play a rather larger part in the scheme of things that their success rates would indicate. But it is also why you need to be very thoughtful before you through a lot of resources at what may not be a worthwhile effort. If I spend two hours a day trying to increase my number of Facebook likes, or increase my Twitter following, I’d best be clear about what I want to accomplish. Too often, it’s simply a numbers game. It reminds of a former colleague who was always frantically busy with, as she put it, “appointments, appointments.” But she never closed a meaningful gift. Our boss would rail at her to stop wasting her time. She would respond that he was always telling us to get out of the office and meet with people. Both were right, of course. We all needed to meet with people—but with the right people; those who could say yes to a request for a significant gift. Perhaps more importantly, we must not confuse ability to give with inclination to support the work we do. That takes more than numbers—it takes words. Not our words, mind you, but the words of our prospects and donors. We have to listen and hear what they are telling us. We have to match our needs with their dreams and desires. This entry was posted in fundraising and tagged Ask, cultivation, development, fundraising. Bookmark the permalink.